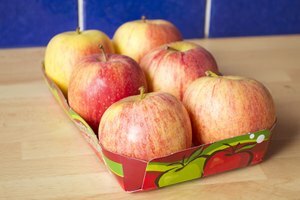 Originating from New Zealand in the 1950s, Braeburn is one of the most popular commercial apple varieties. One of the first bi-colored apples, it has a sharp, refreshing taste with the hint of pear. 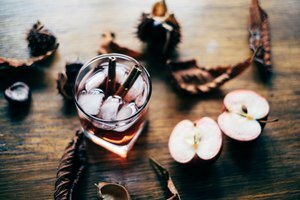 A substitute for the Braeburn, Cox's orange pippin is the classic English apple and is described as the finest of all dessert apples. It has a rich complexity of flavor, but is not as popular with supermarket growers because it is not easy to grow. The Braeburn, first originated in the 1950s and, by the 1990s, it accounted for 40 percent of apple production in New Zealand, and it has become one of the top five varieties in Washington state, the highest apple-growing area of the United States. 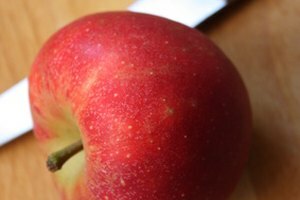 Braeburns compete with red delicious and golden delicious varieties. 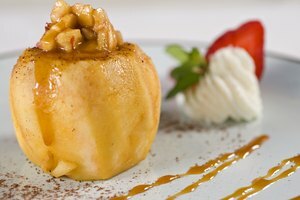 The New York Apple Association suggests that the Braeburn is best for snacking and cooking. It is also an excellent ingredient of a salad as it retains its sweetness and crispness. 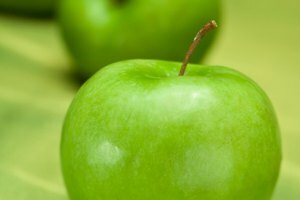 The apple is particularly popular with teenagers and with only around 80 calories per apple, they make a nutritious snack. Tallulah Roberto has been writing since 1987, with her first job at Home Counties Newspapers just outside London. Roberto holds a Bachelor of Arts in journalism from the University of East London.